September and Beyond: Who Speaks in My Name? 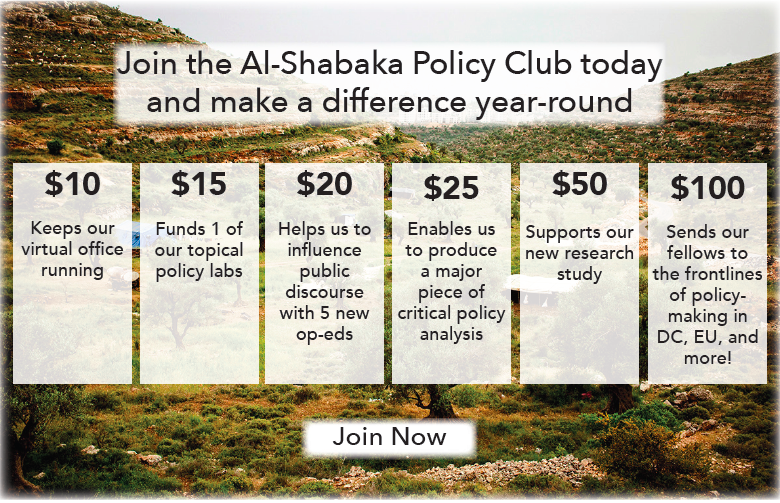 ‎How is it that by virtue of being Palestinian I am told that my ‘sole legitimate representative’ is an organization I have never subscribed to, am not a member of, and have never voted for? Much has been said about the Palestinian Authority's (PA) plan to seek recognition of a Palestinian state at the UN this September. There seems to be a growing chorus of voices from within Palestinian civil society groups and the pro-Palestinian solidarity camp warning that such a move may weaken the Palestine Liberation Organization (PLO) as the Palestinians’ ‘sole, legitimate representative’, enforce the Bantustan state, and further jeopardize the rights of Palestinian refugees. While these are all legitimate concerns, they do not get to the crux of the issue, which is much bigger than September and goes far beyond the statehood bid. Rather than focus on the ills and ramifications of the latest PA/PLO strategy we must address the following urgent questions: What legitimacy do the PA and the PLO have? Where did they derive this legitimacy from? How and with whom do we advance our collective political aspirations? The need to answer these questions has been obscured by the heated discussion around the issue of PLO representation at the United Nations (UN). Guy Goodwin-Gill, a reputable legal expert at the University of Oxford, argues that the PLO would lose its seat at the UN to a ‘State of Palestine’ represented by the PA. With that, he warns that Palestinian refugees and those in the Diaspora would lose their voice since the PLO is the ’sole legitimate representative’ of the Palestinian people. In contrast, University of Illinois Law Professor and former PLO advisor Francis Boyle debunks Guy Goodwin-Gill’s analysis. He insists that as a result of the 1988 Palestinian Declaration of Independence, the Executive Committee of the PLO was set up as the Provisional Government for the State of Palestine and that all Palestinians living around the world would automatically become citizens of the State of Palestine. Therefore, he argues, the PLO in its capacity as the Provisional Government for the State of Palestine will continue to represent the interests of all Palestinians around the world when Palestine becomes a UN Member State. The arguments put forward by Goodwin-Gill and Boyle became central to the discourse about the September declaration of statehood. Both take for granted the premise that the PLO is the ‘sole representative’ of the Palestinian people and that the PA is the legitimate representative of the Palestinians in the occupied West Bank and Gaza. This premise is open to debate. Representation of a people’s will and aspirations are not blank timeless checks that can be handed over to self-appointed leaders. Goodwin-Gill sought to address this point in a recent article in the Guardian, expressing the view that Palestinian statehood must come about by the democratic will of the people and that now is the time for the PLO to open its door for reforms and to allow Palestinians -– all Palestinians -- to participate in an electoral democratic process. But calls for the PLO to embrace democratic reform have fallen on deaf ears for years. How Democratic Was the PLO? But how democratic was the PLO? It was indeed structured as a democratic organization when it was created in Jerusalem in 1964 as a representative body for the Palestinians under the auspices of the League of Arab States. Its Fundamental Law stipulated that all Palestinians -- in refugee camps, under occupation and in the Diaspora -- were entitled to elect representatives to the PLO’s parliament, the Palestine National Council (PNC). The PNC in turn elects from amongst its members 18 representatives to serve on the PLO’s Executive Committee, its highest executive body. However, direct open elections for the PNC were never organized. The PLO blamed this on logistical difficulties because Palestinians are dispersed all over the world. Instead, it opted for a quota system, where each faction appointed members to the PNC in proportion to its grassroots power, opening the door to trade and student unions, as well as women and youth groups to appoint their own representatives. The Fatah faction was by far the most dominant within the PNC and within the PLO's Executive Committee. The PLO’s adoption of armed struggle for resistance and liberation combined with a strong presence on the ground and in the Palestinian refugee camps, won it widespread support and popular legitimacy among Palestinians. In 1974, the UN General Assembly recognized the PLO as the ‘sole, legitimate representative’ of the Palestinian people and invited it to participate in UN activities as a permanent observer. Even the circumscribed democracy practiced by the PLO changed drastically with the signing of the 1993 Oslo Accords, which led to the establishment of the ‘Palestinian Interim Self-Government Authority’ that was quickly dominated by Fatah. The PA became the center of the political game, elections were organized for the Palestinian Legislative Council (PLC) in the occupied territories, and the PLO was further marginalized. The PLO’s rhetoric gradually changed from that of a liberation movement that drew its strength and popularity from the refugee camps to a hollow structure that grew weaker by the day. Between 1991 and 2010, the PNC met only twice -- and then only to deal with administrative tasks. It was not until 2006, when Fatah lost the elections to Hamas that the PLO was resurrected. In its desperation to maintain control of Palestinian politics, Fatah turned to the PLO -– which it still dominated in numbers –- and argued that Hamas’ victory didn’t really amount to much given that the PLO is the ‘sole, legitimate representative’ of the Palestinian people. Thus, where it once had democratic ambitions, the PLO became a handy tool for Fatah to undo the democratic victory of Hamas, and as a result Palestinian democracy itself. 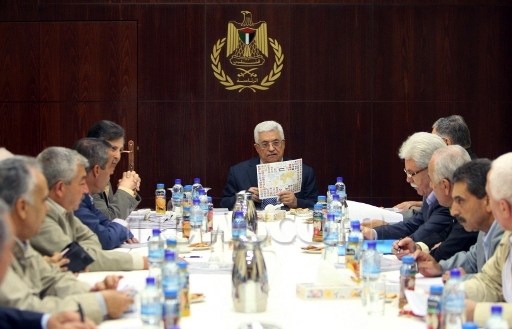 In 2007, after the bloody Hamas-Fatah violence in Gaza, which saw Fatah’s ultimate defeat there, PLO and PA head Mahmoud Abbas suspended the PLC and appointed Salam Fayyad as Prime Minister. When Palestinians, especially Hamas, objected to such an undemocratic move, Abbas turned to the PLO’s Executive Committee to legitimize the appointment. The subversion of the democratic process that brought Hamas into power has brought Hamas an advantage: It can hold on to power for as long as it wants. Fatah’s recent call for presidential and legislative elections as a way to resolve the Hamas-Fatah impasse was rejected by Hamas, whose desire to play the democratic game has been greatly reduced now that it has effective power over Gaza. With democracy undone by the two factions who are competing for power within the ailing PA, the Palestinians are the ones ultimately paying the price. Today, as we debate the consequences of a UN bid, Palestinians must be aware of how unqualified both the PA and the PLO are. Both have been complicit in silencing Palestinian democratic reform. This became crystal clear when the PLO's Central Council agreed to extend Abbas’ term as president of the PA until new elections take place even though this had expired in January 2010. While Arabs across the Middle East are resisting dictatorship and calling for accountability, we Palestinians must not be expected to uncritically follow the recommendations of legal experts and unrepresentative leaders. What needs to be central to the discourse about the statehood bid is the legitimacy of those sitting at the UN and speaking in our name. Neither the PA nor the PLO derives their legitimacy from their people: They seek it from the international community at the expense of their people. The tough question that needs to be addressed is the idea of how legitimacy is achieved. In much of the debate about the potential disaster of the UN bid, a great deal of attention has been paid to democratic elections as the alternative to the current state of affairs. Though useful as a goal of democratic representation, are elections really the sole and only means to build a movement? The new directions we seek as a people must include ways to re-establish and sustain the legitimacy of our representation while pursuing the quest for self-determination and the fulfillment of our human rights. Samah Sabawi is a political commentator, author and playwright. She is a Policy Advisor to Al-Shabaka: The Palestinian Policy Network, and member of the board of directors for the National Council on Canada Arab Relations (NCCAR). Sabawi wrote and produced Cries from the Land (Canada 2003), Three Wishes (Canada 2008) andTales of a City by the Sea (Palestine & Australia 2014). Her past work includes being public advocate for Australians for Palestine, Executive Director for the National Council on Canada Arab Relations (NCCAR) and Subject Matter Expert (SME) for the Canadian Foreign Service Institute’s Centre for Intercultural Learning.